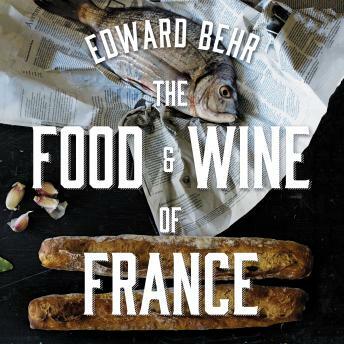 In The Food and Wine of France, influential food writer Edward Behr investigates French cuisine and what it means, in encounters from Champagne to Provence. He tells the stories of French artisans and chefs who continue to work at the highest level. Many people in and out of France have noted for a long time the slow retreat of French cuisine, concerned that it is losing its important place in the country's culture and in the world culture of food. And yet, as Behr writes, good French food remains very, very delicious. No cuisine is better. The sensuousness is overt. French cooking is generous, both obvious and subtle, simple and complex, rustic and utterly refined. A lot of recent inventive food by comparison is wildly abstract and austere. In the tradition of great food writers, Behr seeks out the best of French food and wine. He shows not only that it is as relevant as ever, but he also challenges us to see that it might become the world's next cutting-edge cuisine. The Food and Wine of France is a remarkable journey of discovery. It is also an investigation into why classical French food is so extraordinarily delicious-and why it will endure.